THE WAR IS HERE ! The biggest ever in Cricket history.. The only event where the whole nation STOPS..
Watch it on the Big screen with crazy fans and mind blowing audio output!! 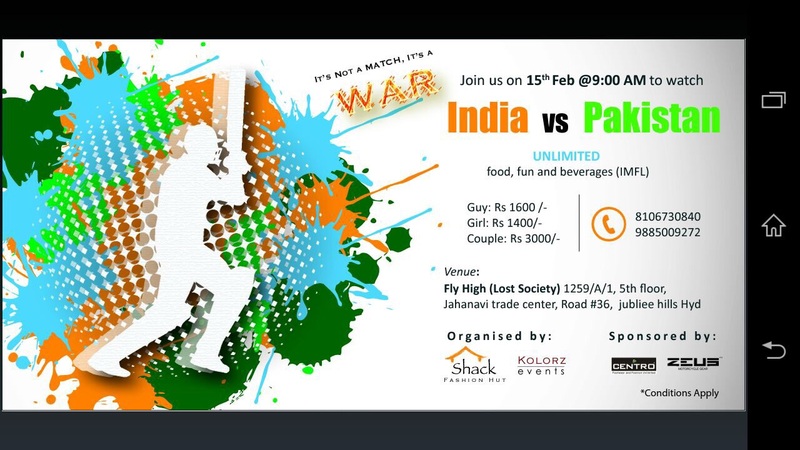 Pull in your buddies, book your space and get ready to Yell like Hell!